RE-ORDER YOUR CONTACT LENSES ONLINE ! We accept most vision and health insurance plans. Please call to find out if your plan is accepted. New Options to Look Good and See Better. Great designer frames now in stock! Our office has been located in Hespeler since 1995. 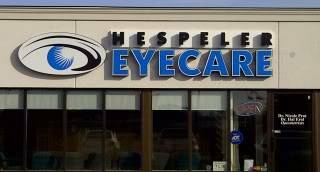 We offer comprehensive eye care to the entire community. Current technologies and methods are applied by our Doctors to provide you and your family with the best possible eye care experience. We have a wide selection of eyeglass frames for adults and children, as well as an array of sunglasses. A large portion of our practice is dedicated to Contact Lenses. Emergency: In case of emergency during office hours, please phone our office at the number listed above. For after hours emergencies, please go to the nearest Walk-In Clinic or Emergency Room.